Q & M Dental Group's 1H17 Revenue/Core PATMI met 50%/60% of our full year FY17e expectations. Three new dental clinics in 2Q17; Three acquisition deals on the table. Higher interim dividend of 0.7 cents per share (+67% YoY). Upgraded to Neutral with lower TP of S$0.61 (previously S$0.65), pegged to a lower forward PER of 32x; We raised FY17e EPS by c.13% to 1.9 cents on better than expected results from associates. One-time gain of S$16.9mn from divestment of Aoxin (Apr-17) buoyed bottom line. Both Aidite and Aoxin are reclassified from subsidiaries to associates, contributing $$1.15mn or 8.4% to Q&M PBT in 2Q17. The Group declared a higher interim dividend of 0.7 cents per share. Higher and sustainable gross profit margin. Clinics margin +2.8pp YoY to 94.3% due to Aoxin's deconsolidation and change in accounting treatment implemented in 1Q17 for instruments which are now capitalised. Distribution margin +4.0pp YoY to 33.5% on deconsolidation of Aoxin, which is also its pre-acquisition of Shenyang Lan Hai Tong Mao’s level. Management noted potential price adjustment for the increased medical consumables and supplies, staff and rental expenses. Lower demand YoY for the dental equipment and supplies distribution business in Singapore. This is due to a higher base in 2016, boosted by Singapore government’s initiative to raise productivity – the Productivity and Innovation Credit (PIC) scheme. The payout rate of 60% of expenditures ended in 31 Jul-16. Management shared that most Singapore clients had replaced big ticket items before a lower payout rate of 40% of expenditures took effect in 1 Aug-16. Its Malaysia business remains unaffected. 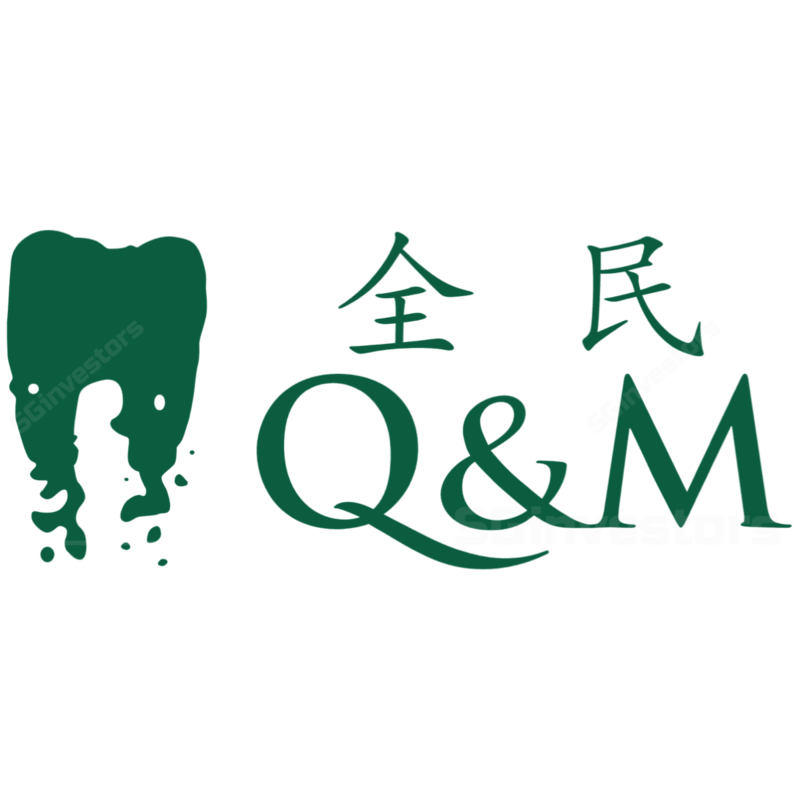 Q&M Dental plans to expand its product offerings to drive its Distribution business growth. Outlook improves as the Group stepped up expansion plan to support future growth. It is on track to meet its target of opening of at least 5 new clinics per year – opened two new clinics in Singapore and three acquisition deals in Singapore and Malaysia (two yet to conclude). Management plans to continue its expansion momentum for its dental clinics as well as its team of general dental practitioners and dental specialists, in Singapore and Malaysia in 2H17. While our view remains unchanged for soft FY17e revenue, we raised FY17e EPS by c.13% to 1.9 cents on better than expected results from associates. Our FY17e EPS excludes gain on spin-off of Aoxin and spin-off listing cots. We lowered PER on a structural slowdown in Singapore’s healthcare services. better-than-expected results from associates. Successful acquisition of Shenzhen Superline will boost contribution from associates and could be the next Aidite.